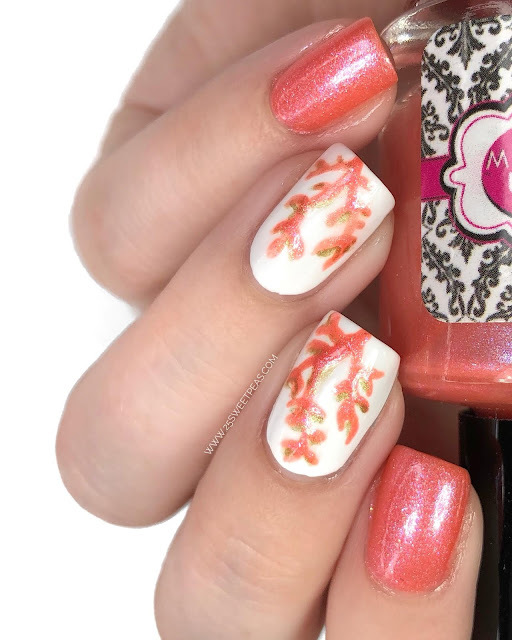 This mani was inspired by THIS look by Nails Context on Instagram. 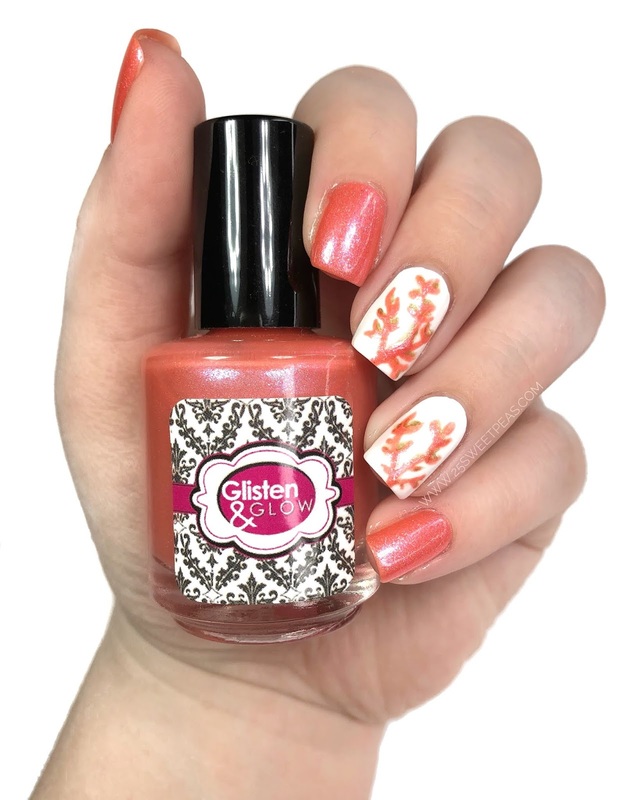 I thought it was a super cute was to have coral nail art on, as well as wear the color of the year. I used a white base behind my nail art, I used Nails Inc White Out. 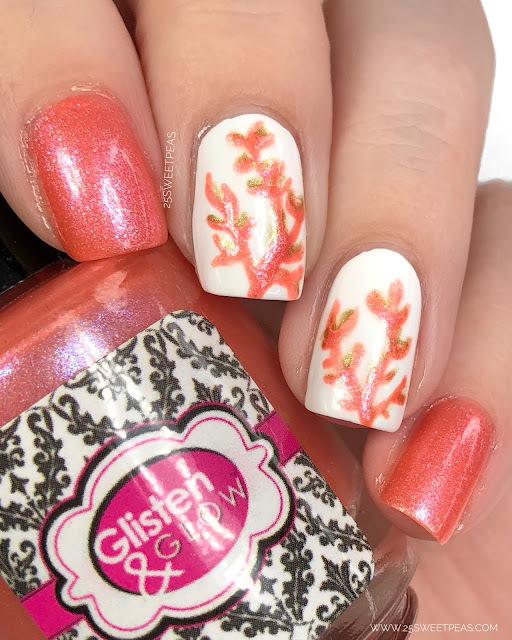 Then on top for the art I used a tiny bit of gold acrylic paint with the coral polish I am holding. Which is one of my fave corals right now. Its Glisten & Glows, Its Gonna Be Legen- Wait for it... dary.